Less than 24 hours after Facebook removed hundreds of alternative news pages managed by independent reporters, Twitter targeted some of the same pages on its own platform. This corporate censorship may not have been illegal, but it is unethical, a writer at one of the outlets affected by the purge told Sputnik News. Twitter further tightened its grip on what information can be shared on its platform Friday as users learned Anti-Media and The Free Thought Project (TFTP) had been cleansed from the site, just one day after being wiped off of Facebook. On Thursday, TFTP and Anti-Media were among the 559 pages purged by Mark Zuckerberg's Menlo Park, California, company. ​Anti-Media and TFTP aren't automated bot accounts or spammers. They are run by US citizens who used the internet applications Twitter and Facebook to exercise their First Amendment rights. For that they have been punished — first by Facebook, now by Twitter. "We were verified by Facebook with a little check mark next to our name, so they know we are a legitimate organization/outlet. They have seen our ‘Articles of Organization' which was issued by the state of Louisiana, which is where my partner and The Free Thought Project co-founder lives," Jason Blasser, co-founder of TFTP, told Sputnik News Thursday. In the wake of being banned on Facebook — where TFTP was driving a lion's share of its traffic, with more than 3 million followers — Twitter looked like the outlet's "lifeboat," said John Vibes, a TFTP reporter since 2013. With a snap of Silicon Valley's fingers, that lifeboat was sunk. "Twitter was just a backup. They hit our backup, too," Vibes told Sputnik News Friday. "It's devastating, on a personal level," that tech companies in California can decide what is and is not news, the reporter said. Vibes reports on government corruption and solutions, US wars, the drug war and police malfeasance. He previously wrote for Anti-Media, which was also purged from Facebook and Twitter this week, from 2013 to 2017. "This is my path. This is my life's work. This is why I wake up in the morning," he said, "and they've taken that away from me. I'm left with the choice of going out into the streets trying to hit 100 people with flyers — risk getting maced by police," he said, chuckling, "when I could be reaching millions on the internet." 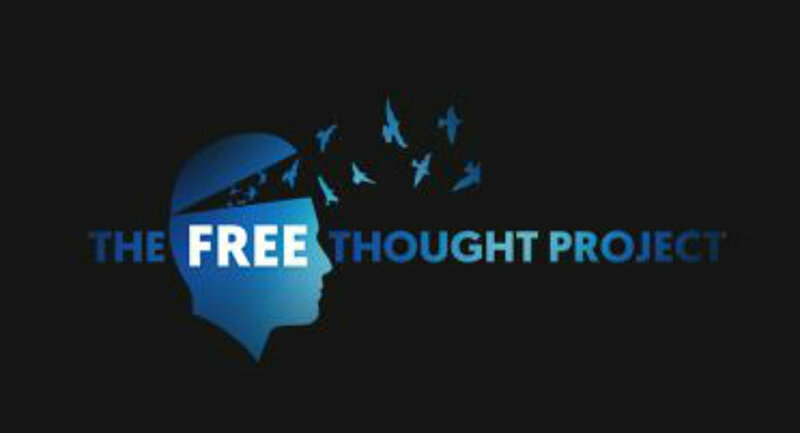 "People should have the freedom to think for themselves. If weird or different content that's outside the scope of the normal narrative makes it more difficult for people to think for themselves, I don't think that is our problem. If anything, it speaks to the box they've been in for so long." "We are seeing some support from our most vocal readers, but here's an unfortunate amount of people defending this stuff, even in the activist community. I don't think people understand the full ramifications of this," Vibes said of the purges. When Alex Jones and InfoWars were ejected from Twitter and Facebook (in September and August, respectively), the Washington press corps celebrated the removal of a widely disliked conspiracy peddler who was paranoid about contaminated water making frogs gay and sold so-called vitality supplements. But those who were skeptical about the prudence of Jone's banning weren't defending his company or actions. They were concerned about the precedent set by social media companies selectively censoring users. "It was a test run, first of all. An opening of the door, to get the foot in the door: ‘Let's get this guy a lot of people agree is obnoxious. Nobody is really going to cry that much about him leaving unless its on principle'… [but] we're next if this precedent is set. And then the precedent was set. And then we were next," Vibes said. ​The purge doesn't appear to be too concerned about whether those caught up in it fall to the left or right on the political spectrum as accounts on both sides have been wiped out. Instead, the common theme is that people who buck corporate-friendly narratives are being suppressed. "I don't consider myself left or right. I don't even consider myself libertarian. I don't even know where I stand. There's positions on the left and right that I definitely disagree with, and sometimes I see value in their arguments. The same thing goes with libertarians. Sometimes they are short-sighted as well. I try to stay away from dogma," Vibes told Sputnik. When freedom of speech is stripped from anyone at a moment's notice, "reason is of no use to us… dumb and silent we may be led, like sheep, to the slaughter," George Washington, the first US president, told officers in his 1783 Newburg Address. ​Proponents of social media censorship contend Twitter's for-profit company status provides sufficient cover to eliminate accounts for "violating Twitter's rules." While technically a company owned by private shareholders, Twitter serves as a digital public square for people to engage one another about the latest news. It's where the US president now makes news and policy. 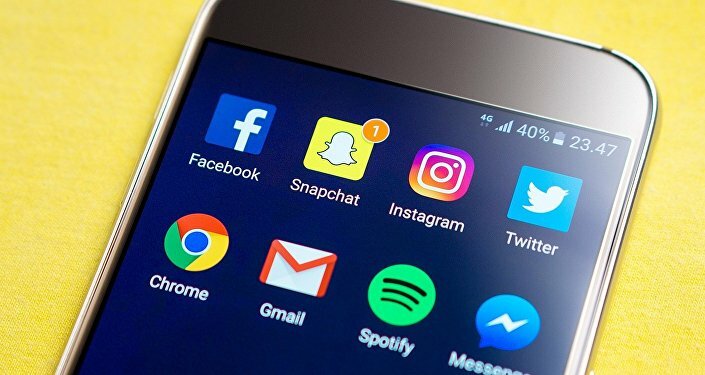 "Social media is the new public square, and it would be against the First Amendment to limit speech there," a lawyer for Columbia University's Knight First Amendment Institute said recently. But the legality of the purge may be superfluous. "I understand these are private platforms, but whether or not they have the right to do this — I don't think matters. Sometimes, just because something isn't illegal doesn't mean it's ethical. What they're doing right now is obviously unethical," Vibes told Sputnik.